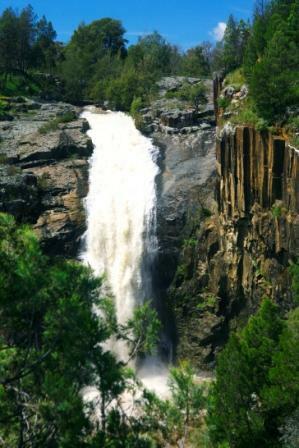 The name of the association is to be the Ginninderra Falls Association Inc to be known as the Ginninderra Falls Association. Note: A definition applies except so far as the contrary intention appears (see Legislation Act, s 155). ‘association’ means the Ginninderra Falls Association. ‘financial year’ means the year ending on 30 June. ‘member’ means a member, however described, of the association. ‘committee member’ means a member of the committee who is not an office-bearer of the association as mentioned in section 14(2). ‘secretary’ means the person holding office under these rules as secretary of the association or, if no such person holds that office, the public officer of the association. ‘the Act’ means the Associations Incorporation Act 1991. ‘the regulation’ means the Associations Incorporation Regulation 1991.
promote, engage in and ensure the conservation and protection of the environmental values, including biodiversity and heritage values, in the region surrounding the Ginninderra Falls, including the ACT. promote the conservation of the built and natural environment in the West Belconnen and adjacent NSW region. promote public awareness of the environment surrounding the Ginninderra Falls, in both ACT and NSW, by engaging and disseminating information to the public. advocating and progressing the conservation and protection of the environment in the West Belconnen and adjacent NSW area. ensuring legislators, officials, current land-holders and the community are fully informed. continuing to ensure legislators, officials and the community are fully informed. has been approved for membership of the association by the committee of the association. As soon as is practicable after receiving a nomination for membership, the secretary must refer the nomination to the committee which must decide whether to approve or to reject the nomination. If the committee decides to approve a nomination for membership, the secretary must as soon as practicable after that decision notify the nominee of that approval and request the nominee to pay within 28 days after receipt of the notification the sum payable under these rules by a member as the entrance fee and the first year’s annual subscription. The secretary must, on payment by the nominee of the amounts mentioned in subsection (3) within the period mentioned in that subsection, enter the nominee’s name in the register of members and, on the name being so entered, the nominee becomes a member of the association. fails to renew membership of the association. A member is not entitled to resign from membership of the association except in accordance with this section. A member who has paid all amounts payable by the member to the association may resign from membership of the association by first giving notice (of not less than 1 month or, if the committee has determined a shorter period, that shorter period) in writing to the secretary of the member’s intention to resign and, at the end of the period of notice, the member ceases to be a member. If a person ceases to be a member, the secretary must make an appropriate entry in the register of members recording the date the member ceased to be a member. The entrance fee to the association is $1 or, if any other amount has been determined by resolution of the committee, the other amount. The annual membership fee of the association is $2 or, if any other amount has been determined by resolution of the committee, that other amount. if a person becomes a member on or after 1 July in any calendar year — before 1 July in each succeeding calendar year. The liability of a member to contribute towards the payment of the debts and liabilities of the association or the costs, charges and expenses of the winding up of the association is limited to the amount (if any) unpaid by the member in relation to membership of the association as required by section 9.
suspend the member from the rights and privileges of membership of the association that the committee may decide for a specified period. A resolution of the committee under subsection (1) is of no effect unless the committee, at a meeting held not earlier than 14 days and not later than 28 days after service on the member of a notice under subsection (3), confirms the resolution in accordance with this section. by resolution decide whether to confirm or to revoke the resolution of the committee made under subsection (1). If the committee confirms a resolution under subsection (4), the secretary must, within 7 days after that confirmation, by written notice inform the member of that confirmation and of the member’s right of appeal under section 12.
if within that period the member exercises the right of appeal — unless and until the association confirms the resolution in accordance with section 12 (4). A member may appeal to the association in general meeting against a resolution of the committee that is confirmed under section 11 (4), within 7 days after notice of the resolution is served on the member, by lodging with the secretary a notice to that effect. On receipt of a notice under subsection (1), the secretary must notify the committee which must call a general meeting of the association to be held within 21 days after the date when the secretary received the notice or as soon as possible after that date. the members present must vote by secret ballot on the question of whether the resolution made under section 11(4)should be confirmed or revoked. If the meeting passes a special resolution in favour of the confirmation of the resolution made under section 11(4), that resolution is confirmed. has power to perform all acts and do all things that appear to the committee to be necessary or desirable for the proper management of the affairs of the association. at least 3 ordinary committee members; each of whom must be elected under section 15 or appointed in accordance with subsection (4). Each member of the committee holds office, subject to these rules, until the conclusion of the annual general meeting following the date of the member’s election, but is eligible for re-election. If there is a vacancy in the membership of the committee, the committee may appoint a member of the association to fill the vacancy and the member so appointed holds office, subject to these rules, until the conclusion of the next annual general meeting after the date of the appointment. must be given to the secretary of the association not less than 7 days before the date fixed for the annual general meeting at which the election is to take place. If insufficient nominations are received to fill all vacancies on the committee, the candidates nominated are taken to be elected and further nominations may be received at the annual general meeting. If insufficient further nominations are received, any vacant positions remaining on the committee are taken to be vacancies. If the number of nominations received is equal to the number of vacancies to be filled, the people nominated are taken to be elected. If the number of nominations received exceeds the number of vacancies to be filled, a ballot must be held. The ballot for the election of office-bearers and ordinary committee members must be conducted at the annual general meeting in the way the committee may direct. The secretary of the association must, as soon as practicable after being appointed as secretary, notify the association of his or her address. Minutes of proceedings at a meeting must be signed by the person presiding at the meeting or by the person presiding at the next succeeding meeting. The association in general meeting may by resolution, subject to the Act, section 50, remove any member of the committee from the office of member of the committee before the end of the member’s term of office. The committee must meet at least 3 times in each calendar year at the place and time that the committee may decide. Additional meetings of the committee may be called by any member of the committee. Oral or written notice of a meeting of the committee must be given by the secretary to each member of the committee at least 48 hours (or any other period that may be unanimously agreed on by the members of the committee) before the time appointed for the holding of the meeting. Notice of a meeting given under subsection (3) must specify the general nature of the business to be transacted at the meeting and no business other than that business may be transacted at the meeting, except business that the committee members present at the meeting unanimously agree to treat as urgent business. No business may be transacted by the committee unless a quorum is present and, if within half an hour after the time appointed for the meeting a quorum is not present, the meeting stands adjourned to the same place and at the same hour of the same day in the following week. If at the adjourned meeting a quorum is not present within half an hour after the time appointed for the meeting, the meeting is dissolved. if the president and the vice-president are absent, 1 of the remaining members of the committee may be chosen by the members present to preside. a function that is a function imposed on the committee by the Act, by any other Territory law, or by resolution of the association in general meeting. A function, the exercise of which has been delegated to a subcommittee under this section may, while the delegation remains unrevoked, be exercised from time to time by the subcommittee in accordance with the terms of the delegation. A delegation under this section may be made subject to any conditions or limitations about the exercise of any function, or about time or circumstances, that may be specified in the instrument of delegation. Despite any delegation under this section, the committee may continue to exercise any function delegated. Any act or thing done or suffered by a subcommittee acting in the exercise of a delegation under this section has the same force and effect as it would have if it had been done or suffered by the committee. The committee may, in writing, revoke wholly or in part any delegation under this section. Questions arising at a meeting of the committee or of any subcommittee appointed by the committee are decided by a majority of the votes of members of the committee or subcommittee present at the meeting. Each member present at a meeting of the committee or of any subcommittee appointed by the committee (including the person presiding at the meeting) is entitled to 1 vote but, if the votes on any question are equal, the person presiding may exercise a second or casting vote. With the exception of the first annual general meeting of the association, the association must, at least once in each calendar year and within 5 months after the end of each financial year of the association, call an annual general meeting of its members. within 5 months after the end of the first financial year of the association. Subsections (1) and (2) have effect subject to the powers of the registrar-general under the Act, section 120 in relation to extensions of time. The annual general meeting of the association must, subject to the Act, be called on the date and at the place and time that the committee considers appropriate. to receive and consider the statement of accounts and the reports that are required to be submitted to members under the Act, section 73(1). An annual general meeting must be specified as such in the notice calling it in accordance with section 26 (Notice). An annual general meeting must be conducted in accordance with the provisions of this part. The committee may, whenever it considers appropriate, call a general meeting of the association. The committee must, on the requisition in writing of not less than 5% of the total number of members, call a general meeting of the association. may consist of several documents in a similar form, each signed by 1 or more of the members making the requisition. If the committee fails to call a general meeting within 1 month after the date when a requisition of members for the meeting is lodged with the secretary, any 1 or more of the members who made the requisition may call a general meeting to be held not later than 3 months after that date. A general meeting called by a member or members mentioned in subsection (4) must be called as nearly as is practicable in the same way as general meetings are called by the committee and any member who thereby incurs expense is entitled to be reimbursed by the association for any reasonable expense so incurred. Except if the nature of the business proposed to be dealt with at a general meeting requires a special resolution of the association, the secretary must, at least 14 days before the date fixed for the holding of the general meeting, send to each member at the member’s address appearing in the register of members, a notice specifying the place, date and time of the meeting and the nature of the business proposed to be transacted at the meeting. If the nature of the business proposed to be dealt with at a general meeting requires a special resolution of the association, the secretary must, at least 21 days before the date fixed for the holding of the general meeting, send notice to each member in the way provided in subsection (1) specifying, in addition to the matter required under that subsection, the intention to propose the resolution as a special resolution. No business other than that specified in the notice calling a general meeting may be transacted at the meeting except, for an annual general meeting, business that may be transacted under section 24(2). A member desiring to bring any business before a general meeting may give written notice of that business to the secretary who must include that business in the next notice calling a general meeting given after receipt of the notice from the member. No item of business may be transacted at a general meeting unless a quorum of members entitled under these rules to vote is present during the time the meeting is considering that item. Five members present in person (who are entitled under these rules to vote at a general meeting) constitute a quorum for the transaction of the business of a general meeting. If within 30 minutes after the appointed time for the start of a general meeting a quorum is not present, the meeting if called on the requisition of members is dissolved and in any other case stands adjourned to the same day in the following week at the same time and (unless another place is specified at the time of adjournment by the person presiding at the meeting or communicated by written notice to members given before the day to which the meeting is adjourned) at the same place. If at the adjourned meeting a quorum is not present within 30 minutes after the time appointed for the start of the meeting, the members present (being not less than 3) constitute a quorum. The president, or in the absence of the president, the vice-president, presides at each general meeting of the association. If the president and the vice-president are absent from a general meeting, the members present must elect 1 of their number to preside at the meeting. The person presiding at a general meeting at which a quorum is present may, with the consent of the majority of members present at the meeting, adjourn the meeting from time to time and place to place, but no business may be transacted at an adjourned meeting other than the business left unfinished at the meeting at which the adjournment took place. Except as provided in subsections (1) and (2), notice of an adjournment of a general meeting or of the business to be transacted at an adjourned meeting is not required to be given. A question arising at a general meeting of the association is to be decided on a show of hands and, unless before or on the declaration of the show of hands a poll is demanded, a declaration by the person presiding that a resolution has, on a show of hands, been carried or carried unanimously or carried by a particular majority or lost, or an entry to that effect in the minute book of the association, is evidence of the fact without proof of the number or proportion of the votes recorded in favour of or against that resolution. At a general meeting of the association, a poll may be demanded by the person presiding or by not less than 3 members present at the meeting. in any other case — in the way and at the time before the close of the meeting that the person presiding directs, and the resolution of the poll on the matter is taken to be the resolution of the meeting on that matter. Subject to subsection (3), on any question arising at a general meeting of the association a member has 1 vote only. If the votes on a question at a general meeting are equal, the person presiding is entitled to exercise a second or casting vote. A member is not entitled to vote at any general meeting of the association unless all money due and payable by the member to the association has been paid, other than the amount of the annual subscription payable for the then current year. The funds of the association must be derived from entrance fees and annual subscriptions of members, donations and, subject to any resolution passed by the association in general meeting and subject to the Act, section 114, any other sources that the committee decides. Subject to any resolution passed by the association in general meeting, the funds of the association must be used for the objects of the association in the way that the committee decides. All cheques, drafts, bills of exchange, promissory notes and other negotiable instruments must be signed by one member of the office-bearers of the association or the public officer or employees of the association, being members of the office-bearers of the association or public officer or employees authorised to do so by the committee. Neither the objects of the association mentioned in the Act, section 29 nor these rules may be altered except in accordance with the Act. The common seal must not be attached to any instrument except by the authority of the committee and the attaching of the common seal must be attested by the signatures either of 2 members of the committee or of 1 member of the committee and of the secretary. Subject to the Act, the regulation and these rules, the secretary must keep in his or her custody or under his or her control all records, books, and other documents relating to the association. The records, books and other documents of the association must be open to inspection at a place in the ACT, free of charge, by a member of the association at any reasonable hour. For these rules, the association may serve a notice on a member by sending it to the member at the member’s address shown in the register of members. Note For how documents may be served, see the Legislation Act, pt 19.5.
a fund, authority or institution for the Act, section 92(1)(b); in which it is to vest its surplus property in the event of the dissolution or winding up of the association. An association nominated under subsection (1)(a) must fulfil the requirements specified in the Act, section 92(2). apply to become a member of the incorporated association. If I am admitted as a member, I agree to be bound by the rules of the association for the time being in force. a member of the association, nominate the applicant, who is personally known to me, for membership of the association. a member of the association, second the nomination of the applicant, who is personally known to me, for membership of the association.